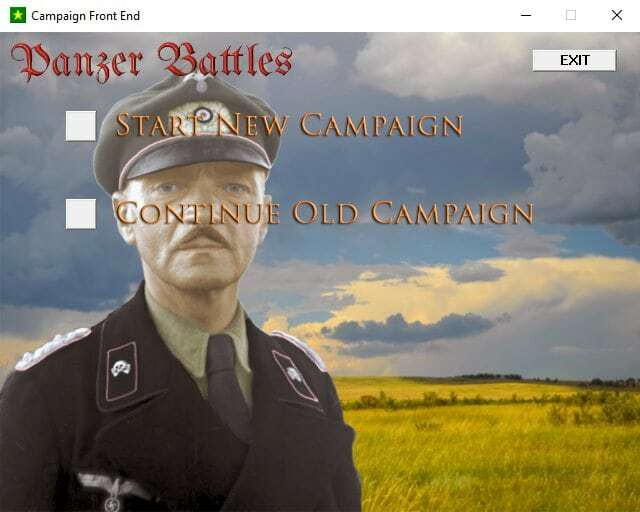 Panzer Battles Demo – Released! 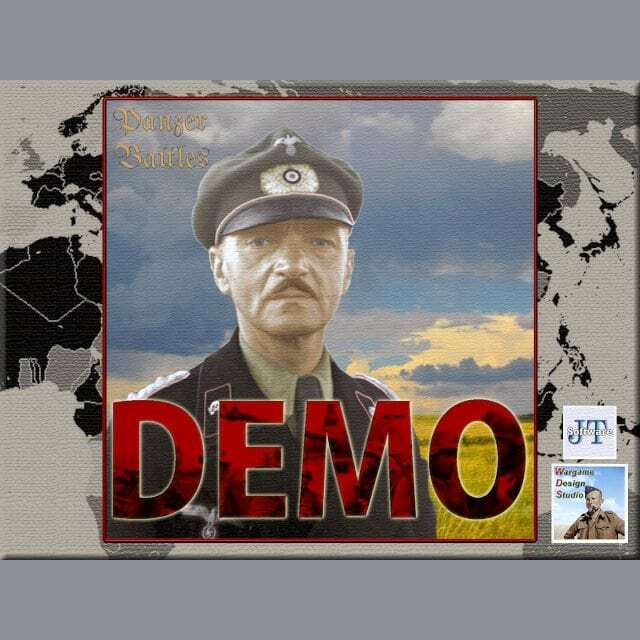 That we’re releasing the Panzer Battles Demo. You can find the link to the product page at the end of this post. That said before you rush off to download it, I’d like to share a little more on the who and why behind this project. Be Wargame Design Studio’s primary marketing vehicle. We’re hopeful that we will be able to add more scenarios in the future and ask anyone wanting to design new work to use the Demo as a platform. What’s included with the Demo? We will touch on the scenarios a little later in this post, but very importantly we’re making available the game editors. 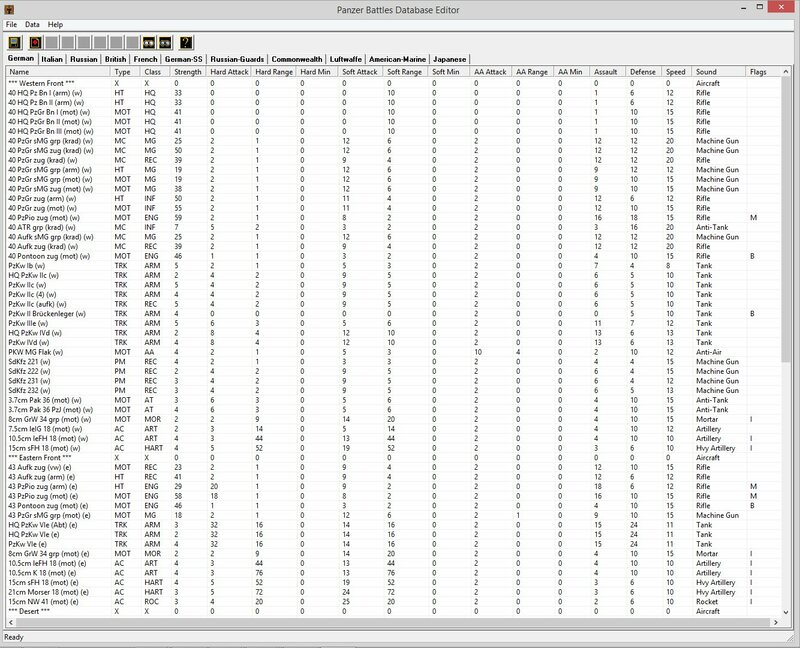 We have included the scenario, order of battle, unit and parameter editors. In addition we have also included the campaign editor. Please note we have not included any campaign games (other than a dummy one for anyone that clicks through) in the initial Demo release, but it’s there for any budding designers to tinker with. There are also more nations than we have released in any game before. These can be mixed and matched allowing fantasy settings if anyone wants that kind of thing. If you want the Soviets fighting the Allies in some post WW2 apocalypse you can do it – you just need to design your OB accordingly. The oft asked question around the map editor – no we aren’t releasing that. That said we expect more maps to work with the demo in the future and look forward to making those available for use in scenarios and the map sub-editor. A few designers have already built additional maps and they will hopefully feature in future scenarios. We have deliberately included the Campaign editor. This will allow budding designers and players to create what-if scenarios with much more randomness built in. We would love to see more input from the community and hopefully providing the various tools with the free Demo will motivate more people to learn how to build more situations in game. I’d also like to share a little more on our designers who created the Demo scenarios. 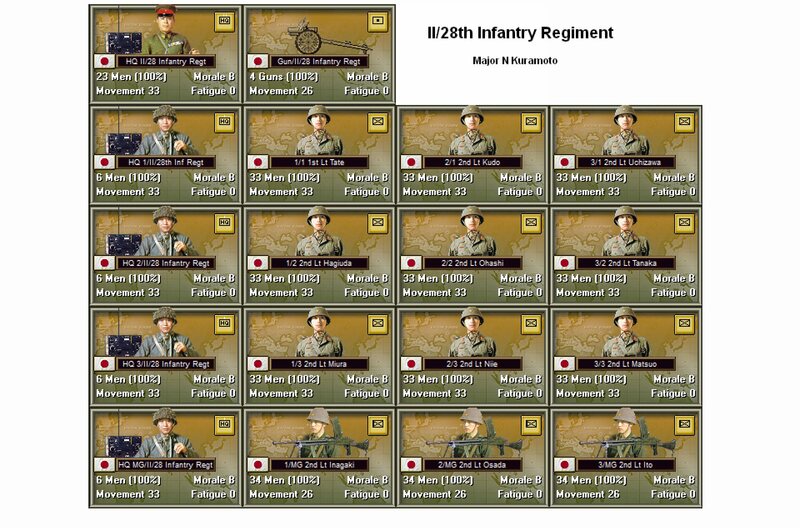 Chris Maiorana from http://thesharpendgaming.blogspot/ designed both August 1943 Bogodukhov scenarios. Chris has been involved in scenario design across a range of game series including Command Ops, Early American Wars and Panzer Battles. 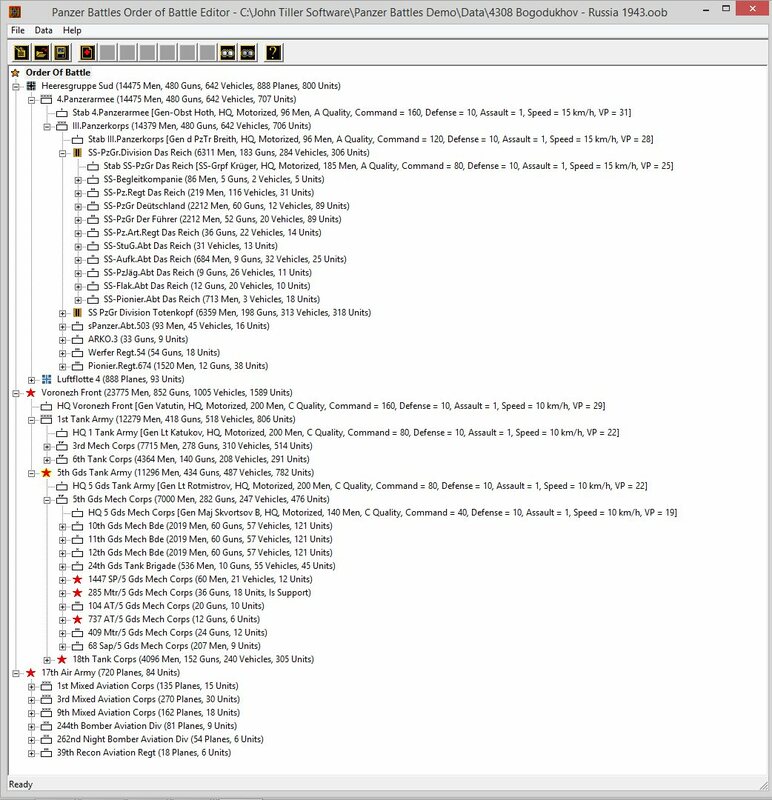 Chris has built up quite a nice catalogue of Panzer Battle scenarios using our earlier releases (Kursk & Normandy) and they would be ideal for inclusion as additional content for the Demo – something to consider for the future. Joao Lima built our first ever Pacific scenarios focusing on the initial fighting on Guadalcanal at Tenaru. Joao has a broad range of credits being involved in several Squad Battles titles including Spanish Civil War, Falklands and Modern War. Joao’s experience beyond World War 2 will be useful in the future. David Michas is a new designer who hails from Nantes in France. David became involved spell checking all the French place names in Panzer Battles Normandy and has become deeply involved in a range of projects. The four scenarios covering the Battle of Hannut are all David’s work and he has already started researching a range of other France 1940 situations. 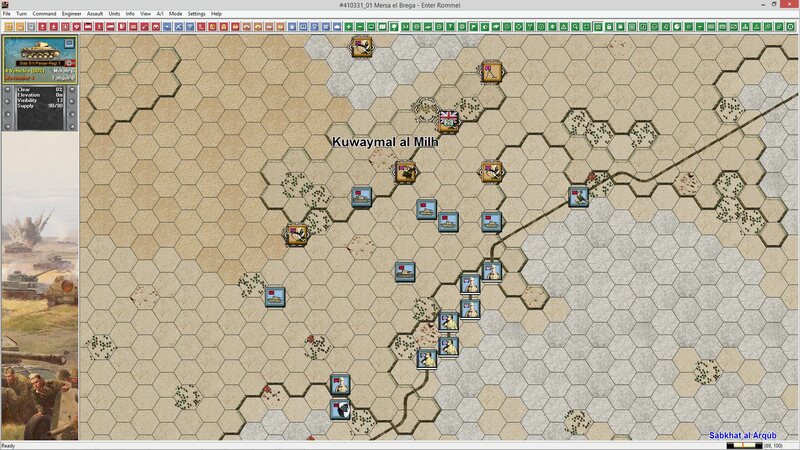 I (David Freer) designed the Mersa el Brega scenarios. These will be included in Panzer Battles 3 and will be a great introduction into what that title will be like. As far as the scenarios are concerned the factor that stands out is the lack of unit density compared to the previously released titles (Kursk and Normandy). In many cases the forces are roughly equivalent both in numbers and quality and players will find some interesting challenges. The Hannut scenarios are also interesting as the Germans are not technologically dominant. This is very different to later in the war and the German player in 1940 should keep their enthusiasm in check. The French are not the push over you may expect and weapons systems such as the 47mm anti-tank gun are very effective. Tenaru is also a test of a smaller hex size (125 metres) with lower unit density. We want to see how this pans out as this hex size is perfect for jungle and city fighting. We don’t expect all these experiments to work, but what better way to try different things than use a widely available Demo? 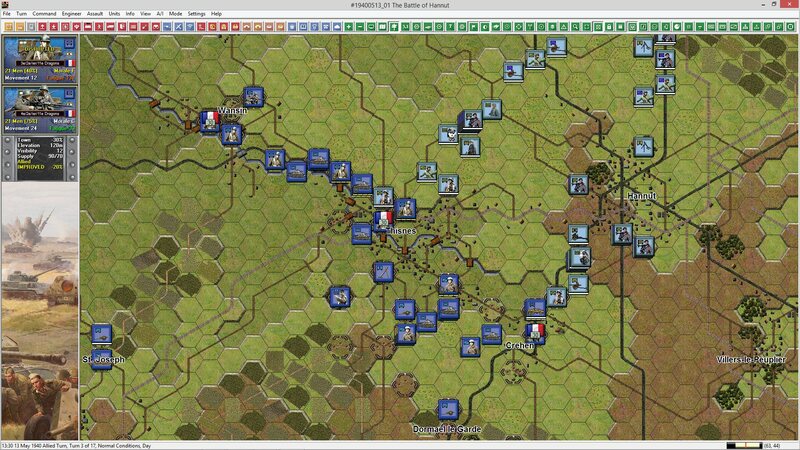 The Bogodukhov scenarios cover a meeting engagement and a river crossing. The maps are surprisingly big and there is a range of different tactics that can be employed. There is a lot more room for units to manoeuvre and we expect some interesting outcomes from these scenarios. Mersa el Brega, like Bogodukhov is based on a big map. This map gives the impression of a lot of room to deploy and move forces on. Don’t be misled. The salt pans and sand are close to impassable and the number of advance routes are limited. This particular area was probably the most defensible position before Benghazi and if the British had held it with a little more strength it would have been close to impregnable. It’s also worth noting that the German forces are all ‘C’ morale. This is due to the fact that they were new to the desert and were yet to learn the tactics required to be successful. Both men and machines really struggled in this new theatre and vehicles broke down regularly due to inadequate air and oil filters and other unexpected impediments. A month or two later these issues were resolved, but the initial attack by the Afrika Korp shown here was definitely impacted by inexperience. 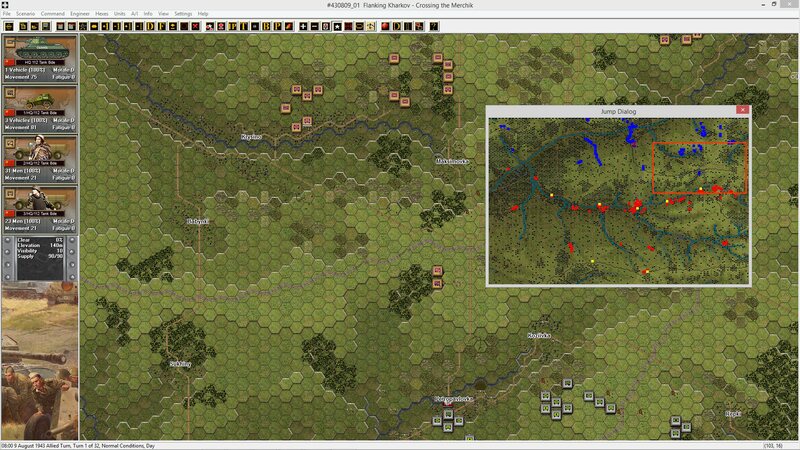 We’re very proud to release the Panzer Battles Demo and we welcome all feedback. Guy, this is great. Thanks so much for all your hard work. Really looking forward to the new games. One question. When launching the game it asks for a serial #. What should we use? Oops, never mind. Found the serial # in the email. Thanks again to all. You should have received a serial number via email? You didn’t see it? How did you gt the link for download? Congratulations, you guys! I haven’t even downloaded it yet (busy in the hedgerows! ), but I know this puppy will be great. I have already given a couple of novices a heads up that this was on the way. Thanks again. I must be dense. I can’t find a download link. The site “Demo Page” has both links back to the “Product Page” where there is no download link, just links to PDFs. I was sure the “Demo Page” should have the link, there is two, one for download and one for product page, as all other products on same page does it, but the BOTH are the same, taking you to product page. By the way, really excited by seeing PB system extended, I’ve really enjoyed it. Looking forward to the follow on products. Thanks, got it. Much appreciated and looking forward to anything done with this great system. The research is top notch and I’m always trying to spread the word. Thank you for this Long and Highly Anticipated Demo! Graphics, Sound and Game-play are Outstanding so far Congratulations on improving on a already Great Game!. I bought Panzer Battles Normandy Last month and cant wait for more scenarios & content for that game too. The views seem to be smaller than Normandy and Kursk. Is this intentional or do I have a settings issue? I’m not certain. Everything is standard between all the games. 1, 2, 3 will give you the different zoom levels. Scaling at 175%. Should I open the Demo App and rescale? Yes, can you try each scaling level starting at 100% and compare and let us know what you see? Thanks, David. I’ll keep looking around. 3 in the demo looks more like 2.2 to me when compared with the earlier games. Just went back and ran the Demo side by side with Kursk & Normandy and the zoom levels are all equivalent. Not certain what you’re seeing unless it’s the smaller map size creating an impression of smaller? I’m looking at a 1920 x 1080 resolution. Just went back to 100% and reset. All three games were the same size. Then went 175% and resized, only Kursk and Normandy got big, Demo remained at 100%. Thank you for chasing that . Awesome system, appreciate everything you guys do. We have had another report of issues with screen size with screen shots. Can you confirm whether your using Windiws 10 and if so what scaling size under Display Settings? Wow! Really show cases the possibilities. Well designed scenarios! I was very pleased to see Pacific front being visited, as well as the African front. Even though I’m an Eastern front fanatic, I’m really excited to see future Panzer Battle products exploring the other areas of conflict of WW2. Awesome offering, eager for any follow on work. Thanks for the continued effort for this great war game series. Just one more comment. The new highlight and map info commands are really appreciated. The expanded menu is incredible! Almost all of them had me smiling and thinking, “Yea, I’ll be using that often. Wish I had that before”. They are a great improvement. Any chance these new PB features will be retrofitted to the two previous PB titles? Regardless, they really improve the PB game system and kudos to those responsible. The new user interface was patched into the previous titles back in December. You can get them both from the Update page on John Tillers site. Thanks for the compliment. We understand the need for an additional zoom level. As monitors have got higher resolution the need becomes greater. One method (I just learned about) is if you have Windows 10, you can go into Display Settings and use scaling to increase the magnification for running applications. It works well with Panzer Battles. So far, an excellent time exploring the demo though I’m still trying to figure out how my Pz regiment can take VP hexes in Hannut without getting destroyed in the process by all the Soumas. If I create a scenario in the demo would I be able to play it on either the Normandy or Kursk games (seems I can transfer the OOB and SCN files but might have an issue with map files) or can only play and create in the demo for now? I really need help with the game install (I just purchased). Can I please have an email address of tech support? I just purchased, and am quite pleased with, PB Normandy. I did notice one difference between the demo and the full game. Although I have background and game-associated sounds, what I am now missing is the victory sound associated with the end of the game screen. Is there a setting that I am missing? I do not even see a Victory sound in the Media folder associated with the game. There did not seem to be any problems with the install – although I did put in the 1.02 patch. Did I do something incorrectly? In higher resolutions, the buttons can be enlarged, which is great but the unit boxes which can be moved from left, right and bottom needs to be bale to be enlarged also, very difficult to see in higher 4k resolutions. I run Windows 10 at 3840×2160 in an LCD TV in my livingroom. In display settings I set scaling to 175% for a good size of fonts and window menus, etc. Both PzB Kursk and Normandy worked well for me in this setup, but PzB Demo zoom levels look considerably smaller, menu fonts and buttons are smaller and harder to see, etc. I’ve found an easy way to make PzB Demo look the same as PzB Kursk and Normandy for me: on pbdemo.exe right click, select “Properties”, click en the “Compatibility” tab, Check “Override high DPI Scaling behavior.”, in the pull down menu below this checkbox select “System (Enhanced)”. With that setting PzB Kursk, Normandy and the Demo all look the same (which is my preference for size at this resolution). Sharing in case this helps somebody else. I don’t like having to mess with the overall display scaling every time I want to start an application so this worked well for me. We had been able to track down what was causing the scaling issue with the Demo. I know Jon Moore will be happy to hear this. I’ll work with Berto our programmer to work out where this setting is coming from….